There are just so many manufacturers that are coming up with new devices with Ivy Bridge inside even though the more power efficient Haswell will be announced in the coming weeks. Regardless, the Samsung ATIV Book 7 is certainly a good laptop to look at. What used to be called the Series 7 Ultra is now being called the ATIV Book 7. It is a high-end Ultrabook that is simply a beauty to look at. Sporting a 13-inch screen screen, the ATIV Book 7 is considerably heavier than most Ultrabooks with its weight of 3.64 pounds. The screen on the other hand is a beautiful 1080p touchscreen that makes the device fit to be in Samsung’s performance line devices. The chassis on the hand is made out of aluminum with metal keys and brushed textures. Suffice to say that the ATIV 7 is a beautiful device to look at. 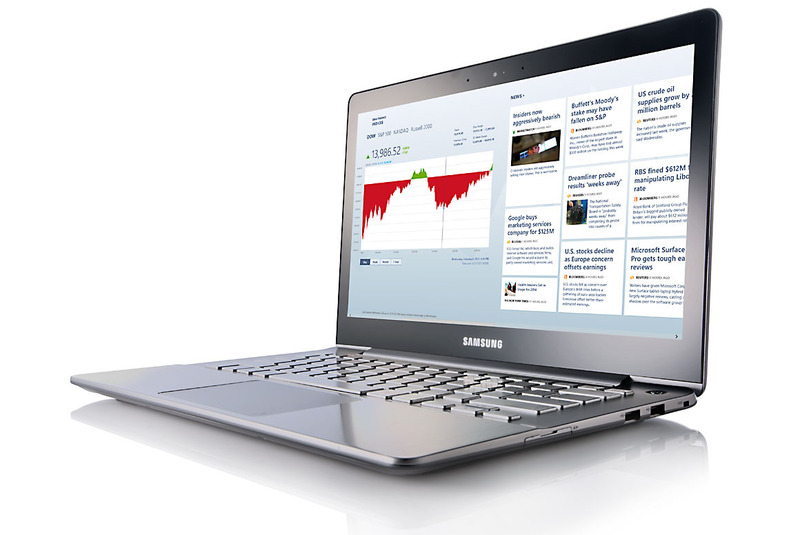 The Samsung ATIV Book 7 comes with an Intel Core i5-3337U processor that is capable of running at speeds of 1.8GHz. In addition to that, there is also an integrated Intel HD 4000 that is common amongst most high-end Ultrabooks. The RAM that you will be getting for the ATIV Book 7 is only 4GB although we wished that it was bundled with an 8GB instead considering that RAM are one of the cheapest component upgrades that you can get. As for the hard drive, you only can get the 128GB SSD drive and there are no available updates to 256GB. Battery life on the other hand, lasts for as long as 5 hours which is certainly good. However, there are a few things that we dislike about the device. First and foremost, it comes with a lot of bloatware that are just unnecessary. You have Netflix, Evernote Touch, Kindle, S Camera, S Player, S Gallery and the list goes on and on. Besides that, there are no i7 options and 256GB SSD option which is a major tradeoff as well. However, for those that are interested, this device is available for $1,060.